For the audience that made Commencement a New York Times bestseller comes a novel about women making their way in the world. Four young women are thrown together as roommates freshman year in college: Ruth, Francesca, Opal, and Setsu. Each is striving to overcome struggles from childhood and find her true self. Tormented by self-doubt, Ruth is coddled by her immigrant mother, who uses food to soothe and control her. Defiant Francesca believes her heavy frame shames her Park Avenue family; to provoke them, and to protect herself, she consumes everything in sight. Opal longs to be included in her glamorous, adventure-seeking mother's dinner datesuntil a disturbing encounter forever changes her desires. Finally, Setsu, a promising violinist, staves off conflict with her jealous older brother by allowing him to take away the choicest morsels from her plateand from her future. As their stories and appetites collide, these women make a pact to maintain their friendships into adulthoodbut each must first find strength and her way in the world. The Appetites Of Girls by Pamela Moses is actually kind of a neat book. I mean it is so intelligent. There’s a lot to chew on as you read it. I won’t go into literally everything I thought about while reading. However, this book had me thinking about food and its relationship with women in a variety of manifestations. This book talks about food in a physical sense but also in a metaphorical sense. I can’t quite nail down why I loved it so much, but I will try for you, reader friends. Pamela Moses’s The Appetites Of Girls has a different sort of timeline and story set up. So, when the book opens college roommates Ruth, Francesca, Opal, and Setsu are reuniting for the first time in years for a baby shower for Ruth at Francesca’s Connecticut home. The book then moves from that first chapter into the girlhood with a chapter/story from each of the four main characters. Then it progresses to college at Brown where the girls all meet. Each girl has one Brown chapter. Then it goes onto life post college where each girl learns something about herself and kind of deals with their issue and moves on, so to speak. Ruth is a Jewish girl who lives in New York City with her immigrant mother, her Poppy, and two younger sisters. Ruth is a smart girl who is going on to a private school. There she takes up swimming but her mother doesn’t quite encourage it. In Ruth’s world, food is used as a reward and sort of to express different things. Ruth’s mother often admonishes her when she loses weight to eat some more. She has got a hard go of it and endears something not wonderful during her freshman year of college. Eventually though Ruth starts to love her body, she starts to find her voice, and better navigate her relationship with her mother. Francesca also lives in New York City but like the nice part where all the rich people live. Her family is quite wealthy. Francesca sort of feels like a disappointment to her stick thin mother. Francesca is hungry and has an appetite. In this book she is defined as fat. However, when the book talks about her clothing size in passing, she’s described as having size 12 clothes, so I don’t know. Right after having my baby while in post partum body, I was a size 10. To me, that seems like an average size. Like, is 12 plus size? I don’t know. I am not here to debate. Anyways of all the girls, Francesca seems most comfortable with her body. She’s confident. She takes up space and she is okay with it. At times she is critical of the skinnier girls in their group, but I guess Francesca was probably the character I admired the most of the four. Opal has lived all over the place with just her mom. She’s got such a tragic beginning in this book. At first you start reading and it is like wow, her life is so glamorous she lives in the tropics. Then she starts imitating her mom who has a different man every night and the men do not treat her well. Opal wants these attentions too. One night, at the age of 11, wanting to be so grown up doesn’t really help her. So, she ends up really reserved around men. Opal restricts herself in all areas of her life. She follows a strict diet and she also follows strict exercise routine. I am glad she got the ending she did. Her beginning was so tough, but that makes her ending all the more delicious, I suppose. Setsu is a girl who has been adopted by American parents. She was born in Japan, however her mother died in childbirth. Both her birth parents were musicians. Anyways, Setsu comes to America and she learns to play violin. She loves it and is good at it. Unfortunately, her brother, Toru, is very jealous of her. She ends up giving him the choicest morsels from both her plate and her life. We see Setsu kind of grow smaller and smaller. Until she’s able to give in to her appetite and her hunger for what she really wants, and man, how empowering. 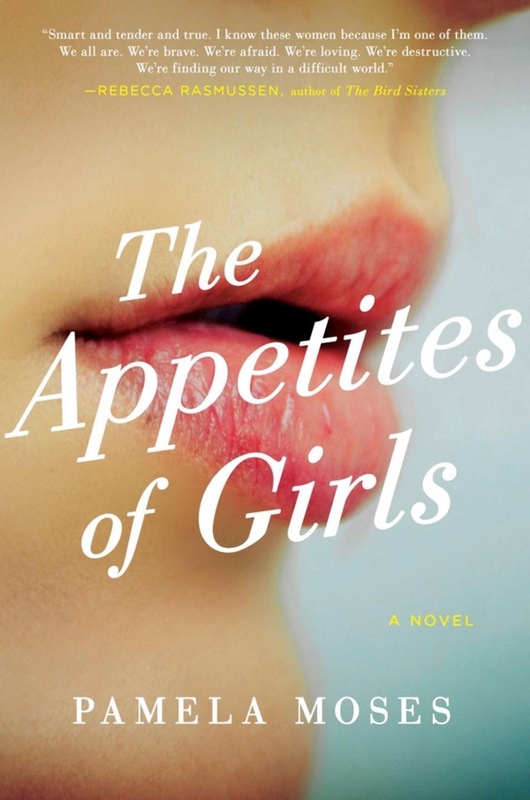 Honestly, The Appetites Of Women made me want to read more adult literary fiction. I clearly am not getting enough of it. I just really enjoyed how this book was written and how it caused me to really think about food, taking up space, feminism, and more. It is well worth grabbing from the library or picking up off Amazon where right now it is $6.70.